I believe in the fourth dimension, and in a fifth […]. This stems from the need to be reassured, to believe that one never loses everything and that there is something happening on the other side. No. 5 Culture Chanel at Palais De Tokyo in Paris showcases various aspects of Coco Chanel’s most famous creation. The concept of the exhibition is very simple – everything is displayed in 110 cases containing photos, letters, works of art, books, early bottles of No. 5, few memorabilia, sketches, ads and documents, telling a story of the revolutionary scent created in 1921. 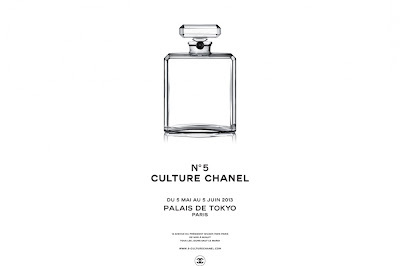 Visually, the exhibition is very modest but presents a complex insight into, undoubtedly, the world’s famous perfume – in more than just five dimensions. One hour is not enough to explore every single item in the show, so book a decent time slot in your diary. Oh, and do hurry, as it closes on June 5th! No. 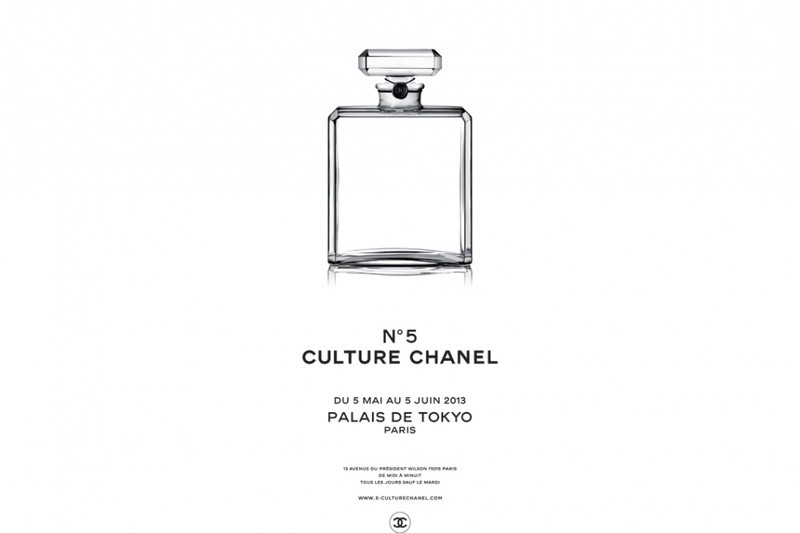 5 Culture Chanel at Palais De Tokyo in Paris, until June 5th, 2013. Opening hours from 12.00 to 24.00 every day except Tuesday. Free admission. 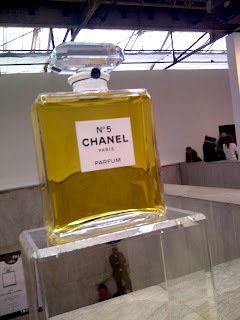 A giant Chanel no. 5 bottle is part of the exhibition. I couldn’t help but wonder – is it filled with real perfume? For more pictures from the weekend I spent in Paris, go here.